Nothing else needs to be said. I watched both seasons, the ova, and movie in two days. I can't wait for 3rd season. It has a good plot for the type of anime it is, but let's be honest, I didn't watch this for just the plot. 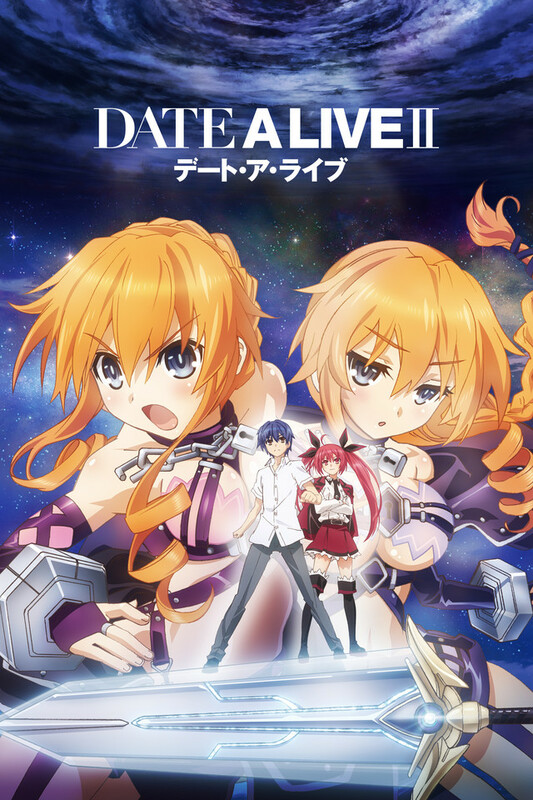 Date a Live is a a mix of your typical harem/mecha anime while parodying them, but doing a fantastic job at that. The series has a surprisingly developed plot, but lacks for it in character development (you'll easily relate most characters to their respective dere types). Would be 5 stars if each individual character gets more backstory, which I'm sure will happen in season 3 seeing as the volumes in the LN that it is based on of. Thank you so much for a great Anime like this one. You guys have made a lot of people feel great watching this. A lot of lessons in life and a great thing to watch when you're alone or with someone, with friends or your "Date". How about that. I really cannot wait for the next season to be aired. And I hope there will be more after that. A great Anime like this makes living better. So again, truly, thank you for making such a great Anime and CrunchyRoll for uploading this here so that everyone here can enjoy it. Really good at what it does. I've watched both seasons twice and have read the light novels and honestly you come for the harem and stay for the story. Sometimes it gets a little wonky but along the road you come to love the characters and stay for them. If you want backstory to some of the characters that didn't get any, you may want to read the light novels. Why do I like this anime? It has fanservice, it has choppy animation at times, and it just is overall weird, but goddang, for some reason, I am never not hyped with this show, it's just so good. And this season is shaping up to be even better! It's telling me the review isn't long enough, soooooo, Kurumi Bestu Grill, but Origami is up there, with Tohka being the Waifu. I f**king love this anime! After I watched the 1st episode I was trapped watching this and I finished all of the 1st, 2nd season including the OVAs which were spectacular and the movie ! OMG BEST ANIME EVER ! This is my top Recommend Anime To Watch! I love this anime watched it during a spring break and had a blast even though i skimmed through all of it. Watching again on crunchyroll in-order to get the maximum experience out of it and hopefully get a new waifu one day to replace Misaka Mikoto. For awhile this has been one of my favorite anime and I with this third season, I can say with certainty that it earned that spot. The premise itself might seem off-putting, especially considering it's a harem anime and all. However, the show does an amazing job executing this, as well as making a series of really interesting characters. anyways I'm glad they made another season its really a fantastic story if you read the original material.